When it comes to phonics instruction, Wiley Blevins has done the research! Word building is a key element in increasing students' word awareness. Use this fun activity to combine word building and vocabulary in your classroom. 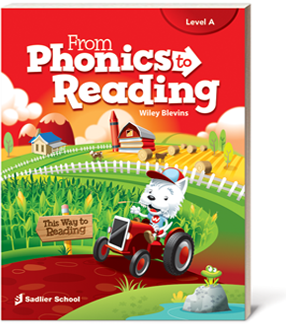 Author/researcher Wiley Blevins has identified the seven key characteristics that effective phonics instruction should include. Learn how best to incorporate these characteristics into your phonics instruction.